Hey, do you want to do anything fun this evening? Bike riding? Pickleball? There are only so many summer evenings. Jim texted back. What say you pedal down to Sherwood Park and we’ll toss the frisbee around for a while? That’ll give you one of those triathlon days you like. That sounded fun. And Jim was right; that would be two more exercise opportunities for the day on top of the hiking I had done early in the morning. 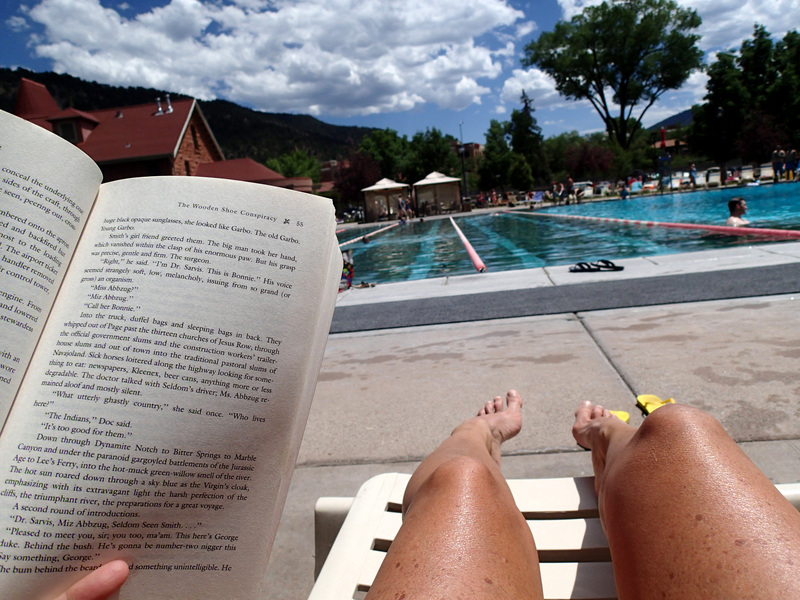 The triathlon idea started with day trips to Glenwood Springs, where I would choose a hike or a run, ride my bike down the canyon, and then swim laps and relax at the world-famous Glenwood Hot Springs. This was an individual event, made up entirely by me, and done at my happy pace, which included having lunch between legs and reclining in a chaise lounge with a good book between laps. The whole point was not to go my fastest and get the event over as quickly as possible, but to fully embrace and enjoy each aspect of it, making it last all day and taking pictures along the way. So I met Jim at the park that evening and we tossed the frisbee back and forth in the low, late evening sunshine. To add some oomph to the workout, we did what we always do with a frisbee or a ball, we counted how many times we could get it back and forth to each other without dropping it. This extra challenge of throwing more accurately and running to catch throws that were slightly off got our heart rates up. At first, we did 18 in a row. Then 19. Then 26. And our record for the evening was 56. Fifty-six tosses back and forth with the frisbee never hitting the ground. “But the three different things is what’s important,” he said. “I think it’s a good goal to shoot for every day. It doesn’t have to be three big things, like your all-day Glenwood Springs triathlons. It could be walking down to the farmers’ market, paddling around the lake. Anything. “For some people, they are,” Jim interrupted. I went on a week-long road trip right after I had this conversation with Jim. 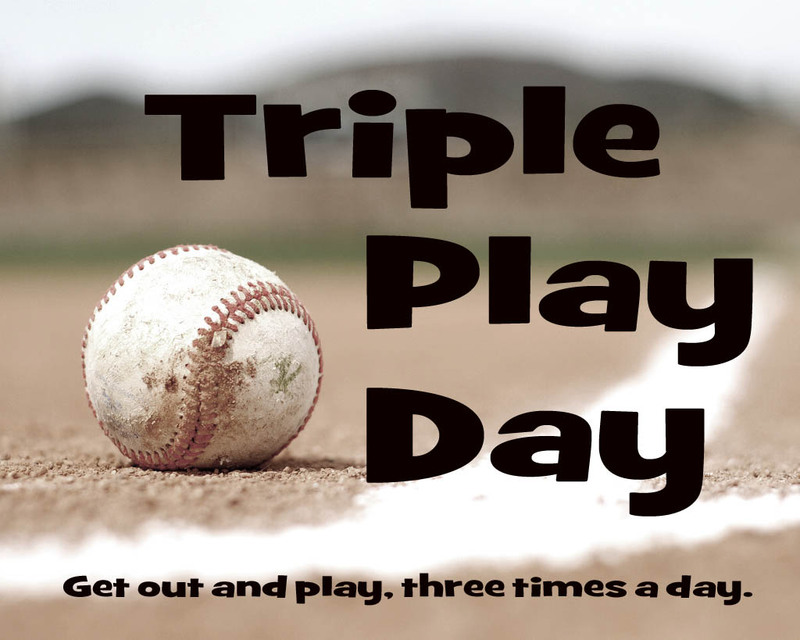 It was a good opportunity to test whether back-to-back, ongoing triple play days were a possibility. Some days were easy, like the day I went for a short run around the lake where we camped and then later that day played hard in the ocean and then took a long walk down the beach. Triple Play. Other days, the ones with seven hours of driving, were more difficult. But I could always get in some walking, some stretching, some isometric exercises while sitting in the driver’s seat. It was on my mind, a new challenge, so I made sure I did it. And I liked it. Want Pearls in Your Inbox?